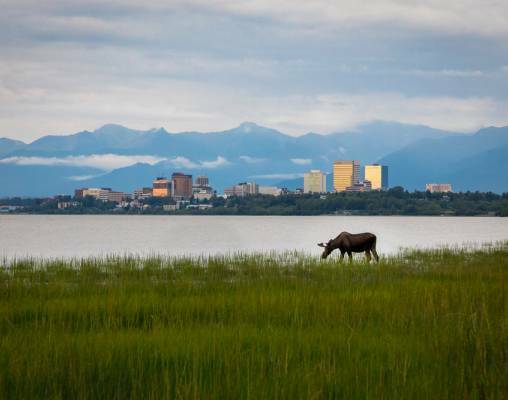 Nine days: That is all you need to gain an insider's perspective of Alaska on this escorted tour. Your time in The Last Frontier begins in Fairbanks, where a riverboat tour acquaints you with the local waterways, and a trip to Trail Breaker Kennel allows you to experience one of Alaska's favorite pastimes, dog sledding. It is also from Fairbanks that we board the storied rails of the Alaskan Railroad for a ride aboard the Denali Star. 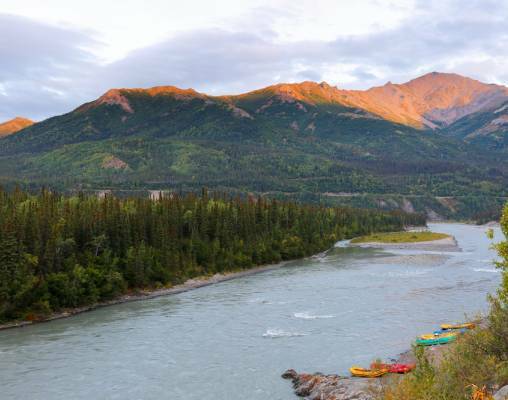 The train will take us right into the heart of Denali National Park, where great adventure meets wildlife spotting and breathtaking scenery. Continuing on the Denali Star, we move through the vast open terrain as we make our way to Talkeetna. The view along the way is truly inspiring - keep your camera within reach. 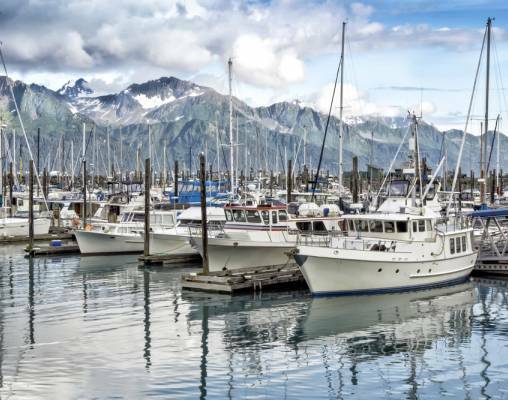 An overnight stay allows you to soak in the charm of this destination before we continue southbound to Anchorage, down the Turnagain Arm and finally down through the Kenai Peninsula before arriving in Seward. 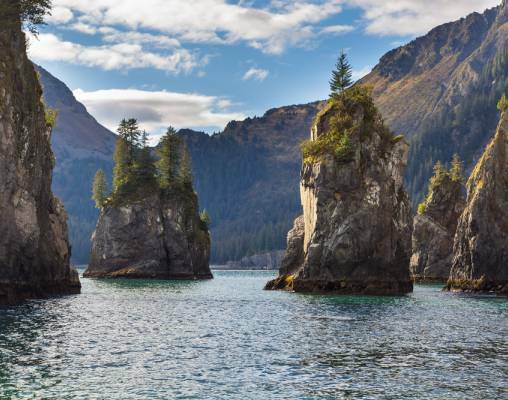 It is in Seward that we have a gateway to one of the most majestic places in southern Alaska, Kenai Fjords National Park. 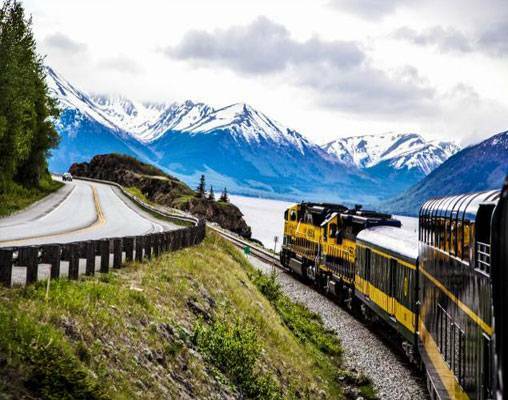 As we wrap up our grand Alaskan journey, we spend some time in Whittier, journey out to Prince William Sound by boat and even take one last ride on the Alaskan Railroad, this time aboard the Glacier Discovery. If it is adventure that calls you, the great land of Alaska is the answer. Arrive in Fairbanks, transfer to your hotel and check in for the first of two nights. It is also at the hotel that you will meet your tour manager and fellow travelers. The remainder of the day is yours to settle into your accommodations or to begin your explorations independently. Overnight Fairbanks, AK. This morning begins with breakfast at the hotel. After, we set sail on a 3-hour riverboat tour, which takes us along the Chena and Tanana Rivers. We will learn about the culture and history of the area as a knowledgeable tour guide takes us through the waters. Keep your eyes peeled for some of the local wildlife and the bush planes that take off from these rivers. Next, Alaskan Native Guides take us into Chena Indian Village, where we learn about the history and culture of these indigenous people. Following the tour, we return to Fairbanks, where you are free to grab some lunch, explore the local shops or peruse the museums and famed sites. Hotels include: Bear Lodge at Wedgewood Resort (Fairbanks), Denali Bluffs Hotel (Denali National Park), Talkeetna Lodge (Talkeetna), Seward Windsong Lodge (Seward), Hilton Anchorage (Anchorage). 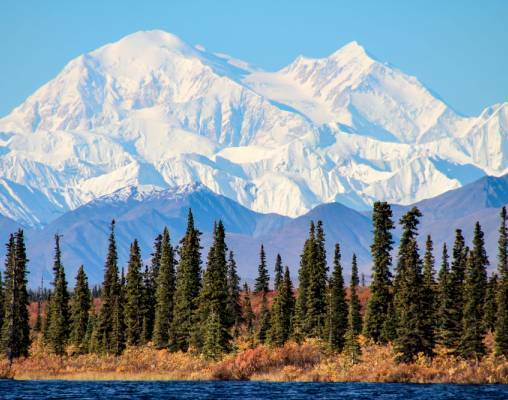 The Denali Star, the Alaska Railroad's flagship train, links Fairbanks to Anchorage with stops in Wasilla, Talkeetna and Denali Park. On this route, sparkling salmon streams and stands of birch and spruce come into view, while carpets of fireweed add dramatic purple to the landscape. The Glacier Discovery train is the shortest route on the Alaskan Railroad. The route takes travelers along the Turnagain Arm, through exhilarating mountain tunnels and off the beaten path. Wildlife is abundant along this route and travelers have the opportunity to see Beluga whales, moose, bear and eagles. Click here to view testimonials for Alaska the Greatland. Great schedule, overall experience, wonderful guide. Best vacation ever!! The schedule was well thought out. Busy but not too busy and the quality of the attractions were great. This vacation was so much better than I expected. I have gone on over a dozen tours in recent years and this was one of the best. Tom Jones is an outstanding tour leader - use him as often as you can! All 3 rail trips were great. All the hotels are very good or better. Highlight was the Kenai Fjord cruise by boat/a spectacular experience. Enter your details below if you would like to be notified when 2020 dates and prices are available for Alaska the Greatland.